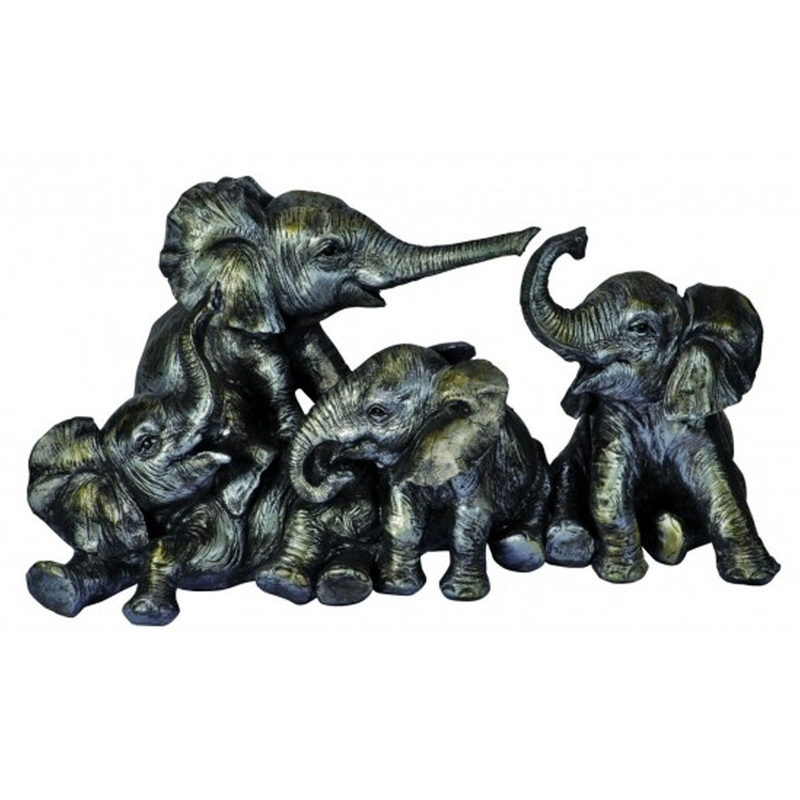 Make your home pop by adding this stunning ornament of 4 little elephants 'Trumpeting'. It's got an adorable style which is perfectly matched with a greyish, silver colour. It'd certainly create a positive atmosphere because of it's cute, friendly design.